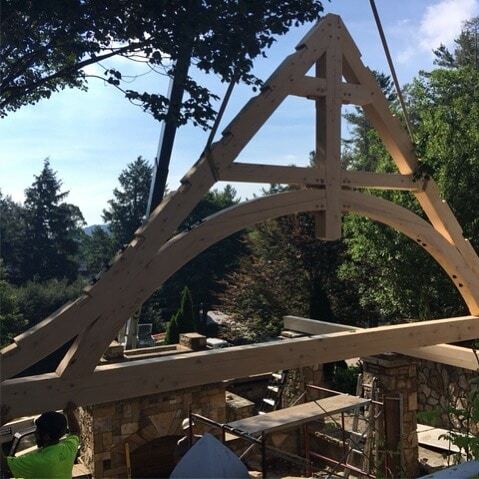 Love this gentle, curving truss design by being installed today by our trusty crew! And the Port Orford Cedar—a new favorite. Thanks to for the photo!